GREAT FOR LUNCH OR SNACK: perfect size for packing lunch for grade school kids or young adults. The 2-compartment stacked Bento design in OVAL shape provides excellent flexibility to unleash your Bento creativity! 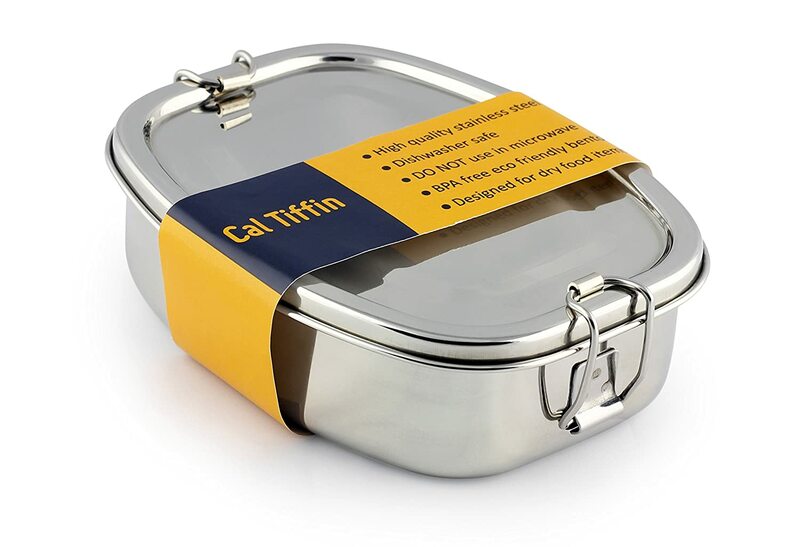 QUALITY TO LAST FOR YEARS: premium quality with sturdy construction using 100% food-grade stainless steel. This product is free of BPA, Lead, toxins, and harmful Phthalates. Get rid of those plastic containers! CONVENIENT SIZE: At 6.75" length, 5.25" width, and 2" height, it can take slightly over 3 cups of food. Overall volume is 25 fl oz or 750cc. This container can hold a regular size SANDWICH comfortably, with additional room for salad, fruits, or munchies. DISHWASHER SAFE: safely clean this container using top rack in your dishwasher. Not for use in the microwave.